I found myself with a few overly ripe bananas this weekend and instead of making one of my banana bread recipes, I decided to create a gluten-free cookie recipe with chocolate chips. 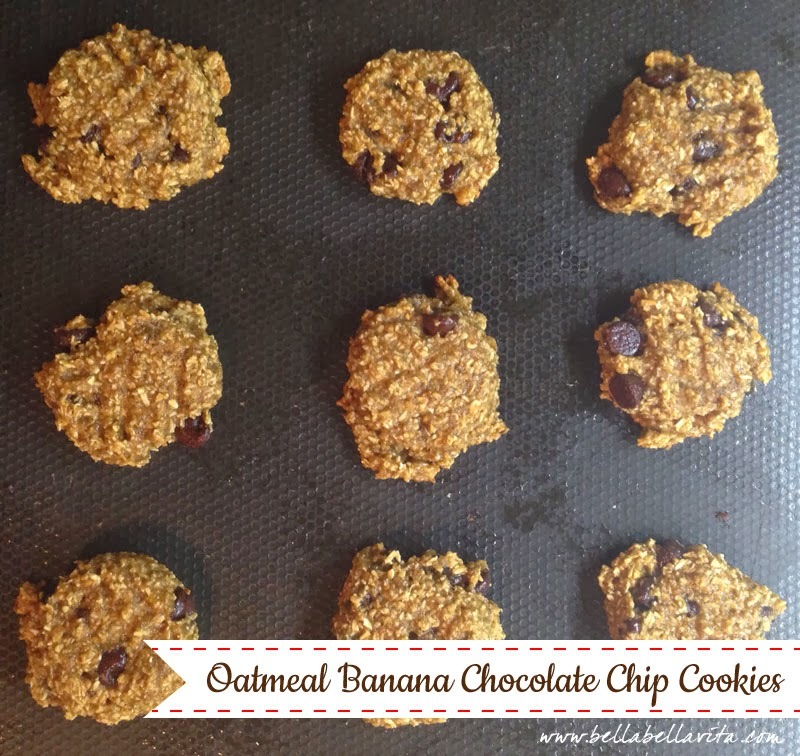 These Banana Oatmeal Chocolate Chip Cookies actually taste like banana bread in small bites, only chewy! Using a Kitchenaid mixer or hand mixer, combine banana, sugar, molasses, vanilla extract, egg white & canola oil; mix well. Add flour mixture to wet mixture a little at a time and mix until blended. Stir in chocolate chips.